Today, we’re excited to announce that Lumberyard source is now available on GitHub. This has been one of the most requested features from the community, and we’re happy to finally make it a reality. 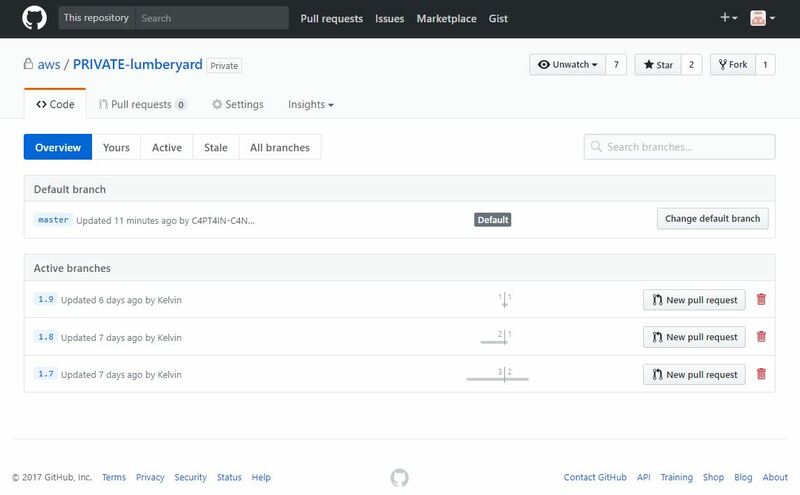 You can check it out at www.github.com/aws/Lumberyard. Because making games is challenging enough. Here are two ways that GitHub makes it easier. Up until now, the only way to get Lumberyard was to install Lumberyard using our standard installer. This would place all of Lumberyard, including the source, on your machine, in a new but separate directory. We heard you loud and clear: it was tedious to incrementally upgrade Lumberyard. That changes with GitHub. 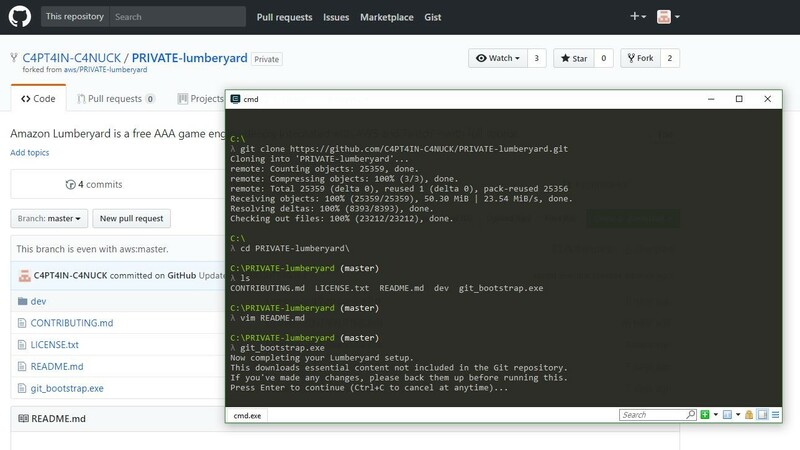 Now you can get the Lumberyard source code directly from our GitHub repository and easily use GitHub to manage your code. Integrating a new version of Lumberyard is now a relatively simple operation. And since each new release of Lumberyard is a separate branch, you can integrate against any version. Plus, you can even create your own GitHub account to use GitHub for source control on your own project and use that as your remote repository, giving you an easy way to collaborate with your team. In the past, Lumberyard devs were only able to submit up to 50 lines of Lumberyard code through the forums, which limited fixes to simple changes. (Thanks again for all your submissions!) Now, with GitHub, there’s a simple way to submit changes and fixes of any size to the Lumberyard team. With pull requests, you can submit as much code as you want, across as many files as you want, knowing your changes will be managed in a concise and correct manner. Your feedback and support are what drives our team, and we’re excited to be able to build this engine alongside you. Keep in mind, though, that for us to keep the main branches of Lumberyard stable, the code submitted in pull requests can’t be immediately merged into the live release branch; instead, accepted changes will show up in future releases of Lumberyard. We’ll be in touch to confirm if your pull requests have been accepted or to clarify the intent of the code. And anyone who submits successful pull requests will be given credit in our release notes! Also, it’s okay to create and post your own fork in our repo (see the Readme.md file on the repo for more info.) Lumberyard is still subject to the AWS Customer Agreement and Lumberyard Service Terms, but to make it as easy as possible to use, it’s in a public repo – you don’t need to log in to get it. As always, let us know what you think. We have some really exciting things in store these next couple of months, including Script Canvas and some brand new animation tools—so stay tuned! You can learn more about Lumberyard by watching our Tutorials, visiting the community Forums, and reading through our Documentation. Todd Gilbertsen has been building game engines, video games, and other software professionally since the late 1980s. He is passionate about creating intuitive tools and technologies that enable game developers to focus on being creative. Todd is a Senior Technical Product Manager on Lumberyard.